Rolling through album covers, song samples, videos and other photographic exhibits, Blackwell was at times interrupted by the interviewer, Paul Holdengraber of the library’s LIVE series but offered many well-known stories and described parts of his exciting life in great detail. One theme of Chris Blackwell’s life was touched upon superficially on many occasions, the aristocrat who is attracted to the “wrong side of the tracks,” but was constantly balanced through the song samples. Listening to music with one of the greatest patrons of music in history was an honor. To see him headbanging and gesturing in perfect time when a group of backup singers joined a Serge Gainsbourg track. How many of us would chose a DIFFERENT Island record in the quest to surprise Chris with an obscure recording? In this case, Holdengraber broke out the French superstar’s reggae excursion, recorded with the guiding hand and assent of Blackwell if not his elbow grease, which he said came from his assistant. 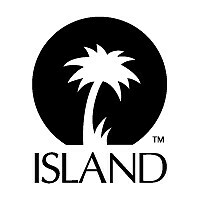 In describing his laissez faire but often inspirational management style with artists, he also referenced how he ran Island Records. Even Daniel Lanois remarked how the smallest comment from him would resonate for years. It was that way at the label too – he would appear frequently and issue edicts. I remember hearing for example, that the Orb’s “Orblivion” was an important record to Chris. Dr. LX Patterson and I were successful. Unsolicited, my friend Jason Knuth even told Chris at the Gavin Convention in New Orleans that he loved the record and that KUSF was playing it. Let’s not forget his great rewards from taking big risks despite often failing. A few Chris Blackwell/Island Records adventures that were ahead of their time and failed commercially: Go-Go Music; African Music, ex-Jamaica Caribbean music like Boukman Eksperyans, films such as Dancehall Queen or the technology-based music project One Giant Leap. He’s a brilliant, tasteful risk-taker like the music world will never see again. I think I’ve written this before, but where is the Chris Blackwell of MySpace? Or YouTube? As an aristocrat, he must have realized that to be successful in business you must take risk. But he was right over and over again, and on a very diverse range of artists. He is better and stronger than Ahmet and Neshui Ertegun. He idolizes them but that’s because he surpassed them. Island is a cultural force for world unity through music. Atlantic’s legacy is probably not as far-reaching although the music the Erteguns supported was great. They were both opportunistic and sharp on the business side, but I believe Blackwell wins on that level too. Whereas Ahmet was given a ceremonial title in his final years, Chris Blackwell still manages the most valuable aspect of his discoveries, Bob Marley’s songwriting and estate. He’s not baby-faced anymore, but he’s still a killer. Respect to Chris Blackwell! “When I first heard them, they sounded Rinky Dink but I totally believed in them.” – Chris Blackwell on meeting U2. “Nothing pink could possibly be coming from Jamaica.” – Blackwell decides to re-brand the company for the Spencer Davis Group’s first release. “He let me hang around.” Miles took a liking to Chris in 1960 or so during the making of Kind of Blue, one of CB’s favorite albums.